Five represents man, both in his human and spiritual form. 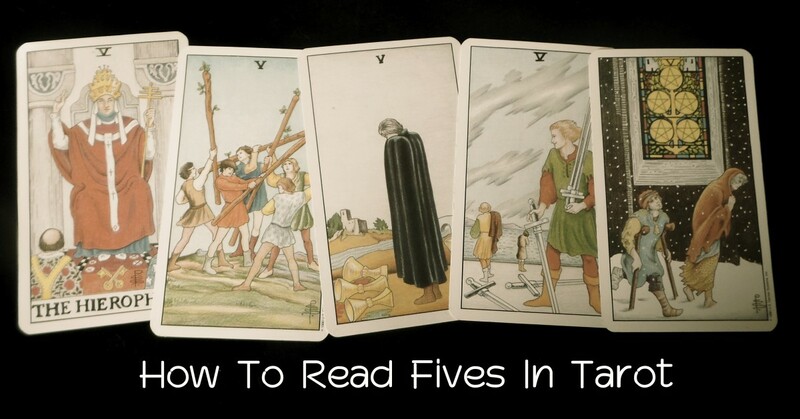 Five is constantly striving for balance, hence the general meaning of struggle and challenge which permeate the cards that bear the number five. There is duality in these cards, as five can indicate both perfection and imperfection; union and separation. This does not mean that the number five contradicts itself; indeed it illustrates how man is perfect in his imperfection and is, at the same time, joined with God/Source/All-That-Is and separate from Him/It. If one can accept these concepts as not being opposite but complementary, then clarity will follow. Like the Earth, man is continually seeking a balanced existence. The important thing to remember is that perfect balance is unobtainable for more than a moment, and the best we can hope for is to maintain a slight wobble to and fro. In other words, five holds the message: acceptance of imperfection. When a tarot reading produces a five, there are likely to be disruptions, challenges, disappointment and struggle in the querent's life. As a reader, your job is to translate these difficult aspects into positive opportunities for growth, learning and understanding. Inform your client that a five indicates a turning point, a platform from which to view a new perspective, a chance to embrace change and an opportunity to learn more about themselves. 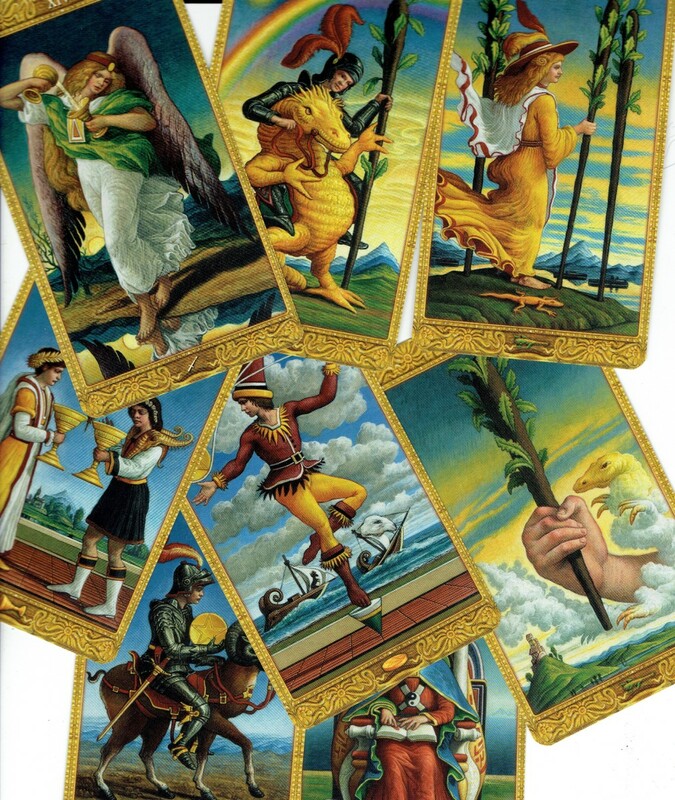 Note: All card images taken from the Universal Waite Tarot deck, pub US Games Systems Inc. The word 'Hierophant' is derived from ancient Greek and is a combination of the 'ta hiera';holy, and 'phainein' ; to show. In many older decks the card is sometimes called 'The Pope'. The most common interpretations are somewhat negative: organized religion, dogma, orthodoxy, inflexibility, institutions, conventionality, conforming, doctrine, etcetera. The holy man is considered to be a channel between God and the ordinary man. It is time to recognize the Hierophant as a more powerful and positive influence than is often assigned. 'Holy' means 'whole-ly' or 'wholeness' and 'show' means to point out, guide, lead and demonstrate. Therefore, it makes sense to interpret the card as inner guidance, rather than some outside authority who is continually abjuring us to conform to a standard of behavior which is deemed appropriate. The channel is there all right, but there is no-one standing between you and your Source; you are in the direct flow of pure God-energy. For thousands of years man has looked towards external authority for answers; for a pattern on which to base his life. We have trained ourselves out of believing and trusting our inner guidance. If it helps to see this guidance as a kindly elder, then fine, but we must understand that he is within us, not outside of us. Accept your imperfection and listen to your guidance. Realize that you cannot be right all the time; it is okay to make mistakes and not one other person in the history of mankind is treading the same path as you are. At the same time, you have to accept that others in your life are treading their unique path. You may not agree with them but you have to accept that they are doing what feels appropriate to them. 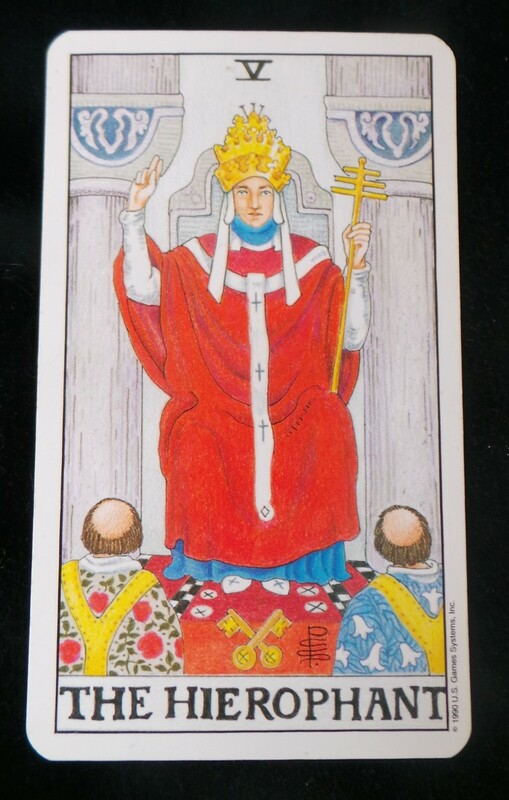 When the Hierophant appears in a reading it represents a 'higher authority', as previously described, however, you, the reader, can express the idea that the querent holds within them all the guidance they are seeking and there is no need to go any higher than that. Allow the Hierophant to open up a pathway of communication between you and your client, and use the card to impress a sense of self-trust and self-reliance on to the querent. 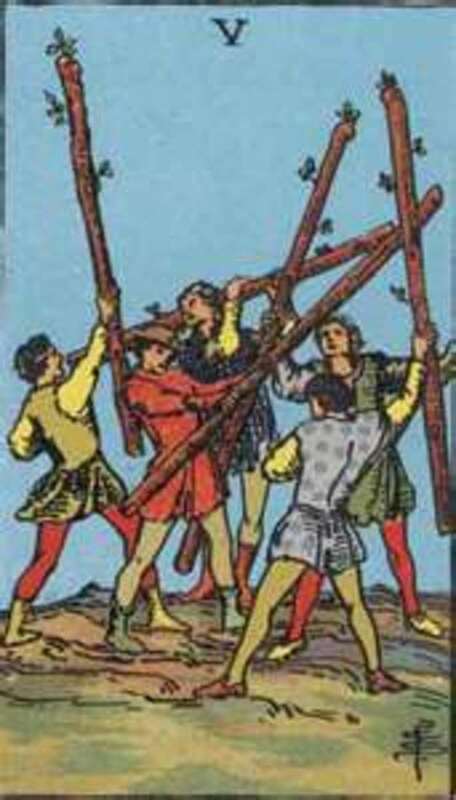 The Five of Wands is commonly interpreted as diversity, minor arguments, skirmishes, disagreements, rivalry and competition. It can represent annoyance, irritation and intolerance. Reversed, it can indicate an escalation of all these things, meaning that a disagreement can turn into an all-out battle. 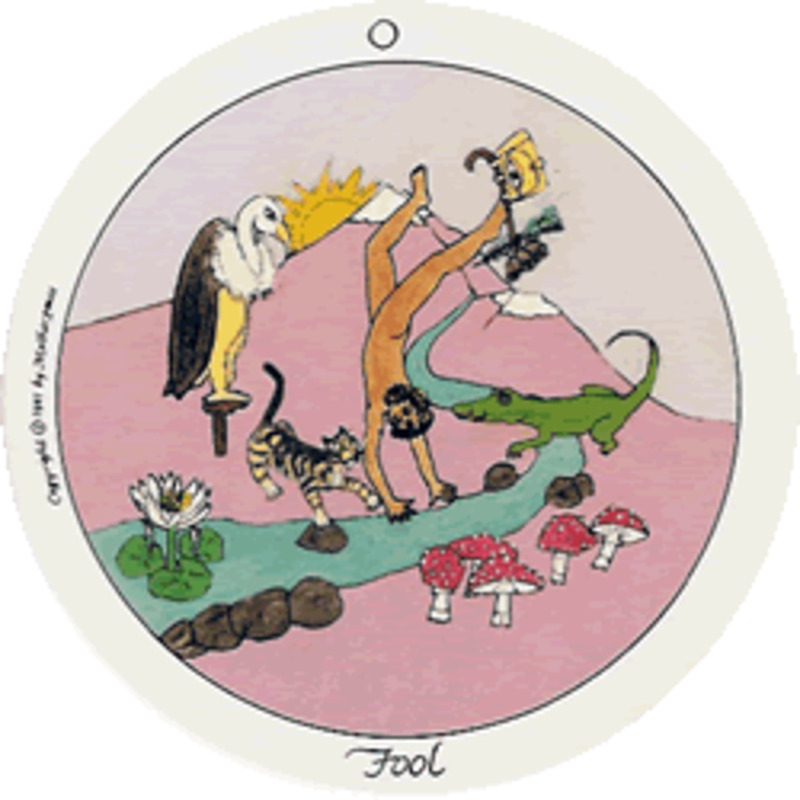 This card indicates that the querent could be out of balance with his or her environment, other people, situations or even their own body. There are two possibilities here, either withdraw for a short period of time to rest and relax, or push on through with confidence towards victory. If the first course seems to be appropriate, then it is wise for the querent to understand that differences between individuals are not a bad thing, neither is it necessary to fight about them. It may be time to accept that it is fine to disagree and move on. The second course may cause more problems to arise, and the sense of victory might be short-lived. However, the individual must judge for themselves and it could be that the situation is a positive one, such as competing for and getting a new job, winning a competition or discovering a way to heal themselves. 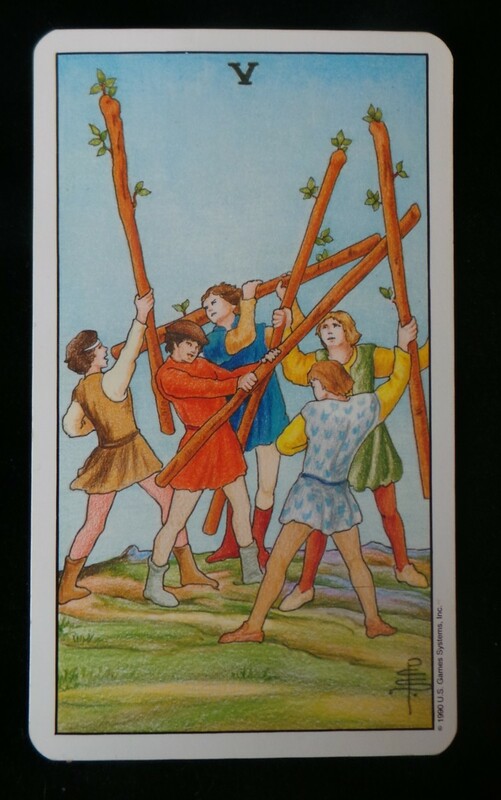 Use the appearance of the Five of Wands to explain that what your client may view as a bad situation is an opportunity to change his opinion, perspective and viewpoint about other people. Diversity is a good thing and human beings would not survive without it. The Five of Cups is about grief, loss, pain, despair, guilt and disappointment. No-one looks forward to seeing this card in a reading. It emanates sadness. 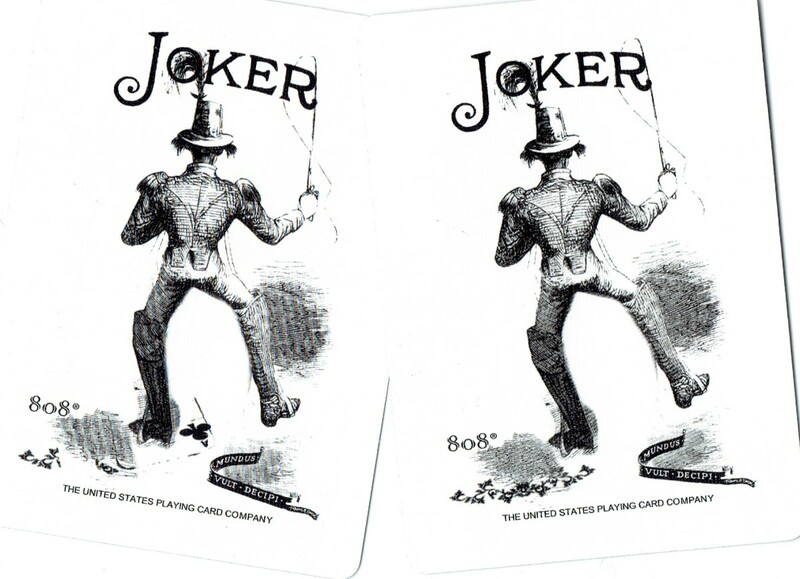 The card is often illustrated as a figure bent over in grief, three spilled cups before him. There are two full cups behind him and readers tend towards brushing aside the pain in an effort to show the querent that, all is well, look at those full cups—there are still many good things in your life. I have been guilty of that myself. However, remembering one of the aspects of the Fives as a turning point, then understand that this cannot always be an instantaneous movement. Sometimes there is a need to work through a process, as with grief. You cannot expect a person to feel better in a single moment. 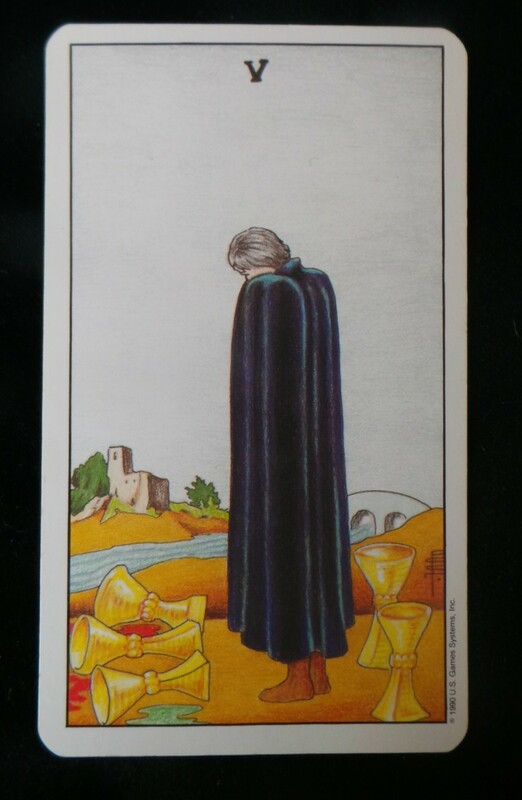 One of the hardest things for a tarot reader is to see this card appear in a future position. Don't try to play it down or brush it off, rather explain that whatever event the card refers to will eventually pass and that the important thing to remember is that pain does not have to equal helplessness. Point out there will always be glimmers of hope, even when in the midst of anguish and that looking for, and finding, these small comforting moments is part of the healing process. Those moments will expand and one day the pain will recede, making way for good memories and happiness to take its place. When the Five of Cups appears reversed, then your client is possibly in denial or is repressing an emotional response. Perhaps they feel that expressing sorrow is self-indulgent or they think they have surely given themselves enough time to heal. The reality is that they haven't got over it and they do need to allow themselves to work through their emotions. It can help to focus on your client working their way up a metaphorical ladder of emotion. Slowly, slowly from despair to hopelessness, to anger to frustration and eventually to hope. There will be slips on the way and that's okay too, as long as the general trend is upwards. Give them this analogy to work with—it might help. The general meaning for the nasty-looking Five of Swords is malice, lies, slander, underhandedness, meanness, cruelty, bullying and viciousness. 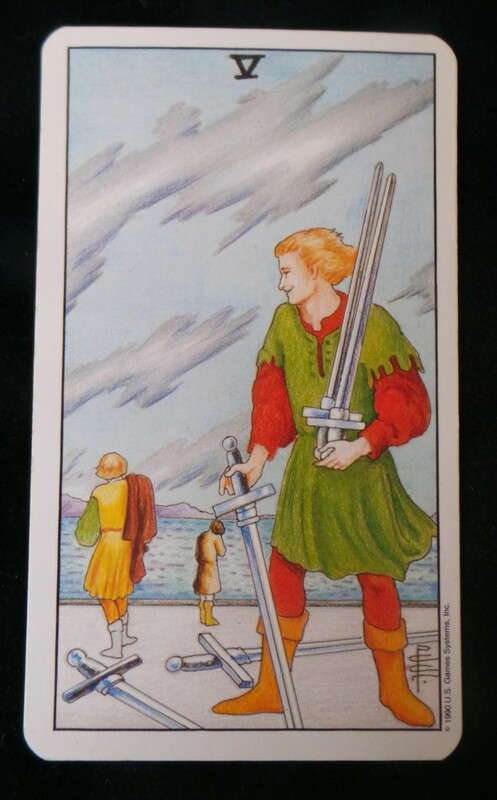 The card is often illustrated by a gloating victor in possession of five swords while one person walks away and another, farther in the distance hangs his head in despair. Reversed, the card means just about the same thing, although the energy might either be intensified or dissipated depending on the surrounding cards. The Five of Swords is often problematic for readers. It is often worthwhile asking the querent to point out which figure they identify with. We have all been guilty of taking advantage of another's defeat or even instigating that defeat. At the same time, we have all experienced being on the receiving end of malice. There is a very important part to this card, and it is the single figure who has chosen to walk away. He is not in despair, he is not playing the part of a victim. He simply makes a decision to turn his attention away from the situation. This is key because it leaves the manipulator nothing to push against. He was probably expecting a fight and was geared up for it, indeed, even relishing the prospect. By walking away, he has had the wind taken out of his sails and the victory, such as it is, is a hollow one. When the card appears in a reading, try to establish whether the client is the instigator, the victim or the one who is really in control, the one who says, “This is not a game and I am no longer willing to participate.” There is opportunity in the Five of Swords and it is where you make the choice to take your attention away from the situation. You can stay and argue but you aren't going to win this one – your power comes from your ability to exercise your free will. As a side-note, this card has sometimes turned up to indicate a child in distress. The parent may not be aware that the child is being bullied or is doing the bullying. 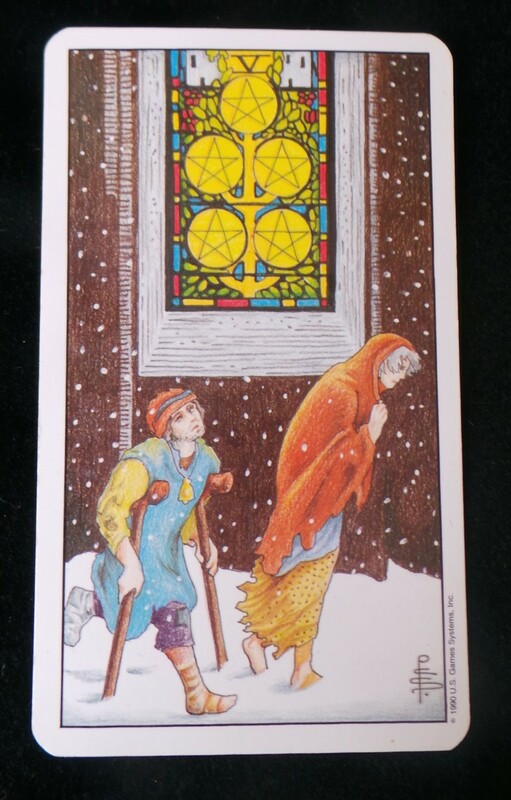 The Five of Pentacles is another card we'd rather not see in a reading. The card's general meaning is deprivation, impoverishment, financial ruin, homelessness, hunger, material loss, being cast-out, divorce and redundancy. Reversed it can indicate the end of such a period or a lessening of the manifestations. This card can go even deeper, indicating someone with an extreme lack of self-confidence or a feeling of unworthiness. The feelings are so profound that the person has cut themselves off from society or is unable to reach out for help. In this case, it is unlikely to represent your client or they wouldn't be with you in the first place. Bear in mind, though, you could be the last resort, in which case, this person is in need of serious support. 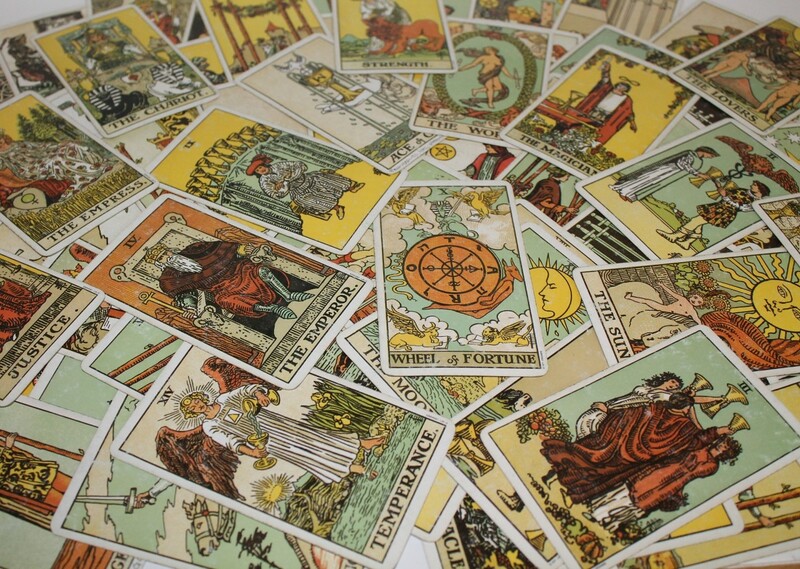 This is why all tarot readers need a list of relevant phone numbers—Samaritans, Hostels, Salvation Army, Abuse Centers, etc. Look carefully at the other cards in the reading to determine the likely meaning for this card. If the card is surrounded by other negative cards, then be prepared for a tough one. 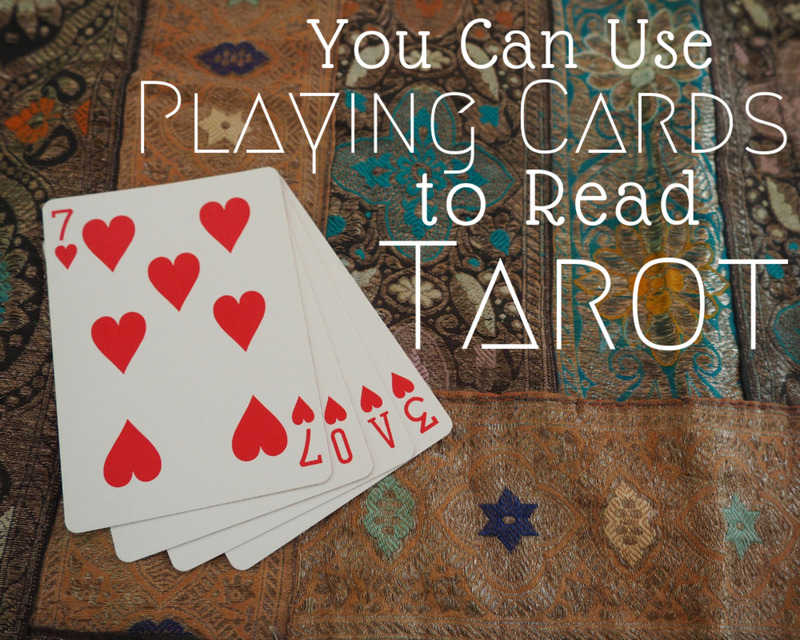 If the tone of the reading is otherwise upbeat then you can emphasize the opportunity in the card. For example, if there is job-loss on the horizon, then this would be the perfect opportunity for that new business. Perhaps the querent has alienated themselves from their family or a close friend; this would be a good time to reconnect. Point out that the figures are not lying in the snow, having given up. They are moving forward to embrace the future whatever form it takes. It is important to be able to acknowledge the dark side of human life—we'd all like to only see positive cards in a reading and be the embodiment of sweetness and light to our clients, but that's not how life works. To be a good, honest reader you have to be able to interpret the mad, bad and sad stuff, and still have your client leave the reading with a sense of his or her own power. The Fives help us to understand that from the darkness can come the chance to try again, put things right, re-evaluate, find new perspectives, give the benefit of the doubt, accept our own failures and turn them into positives. The challenges of the fives precede expansion of knowledge—of the world, of humankind and of ourselves. Contrast is what helps us appreciate the good times. Being shown that we are separate serves to enhance our understanding that to feel separate is a choice, and an erroneous one at that—we can never be separated from our inner guidance, or from Source. Has the Number Five Played a Part in Your Life? Oh cool! Thanks Ragged :D I'll have to read up about the Strength card. Kaz, your card, in the most common system, is Strength. Strength in this case doesn't refer to physical strength but to inner strength, gentleness and persuasion. It reminds you that you have all the resources you need within you. 8 is a really interesting number - sometimes used to represent infinity. In some decks, the number 8 is assigned to Justice. I will take your hint on board, you persuasive creature, you! I hear so many different methods of numerology~ find it very confusing lol. However, I just did as you described and mine is 8, which makes sense as 8 is always cropping up in my life in one form or another :P ~ which card is that? Thank you so much theraggededge...for your kind help. Thank you, cleverowlsoftware. 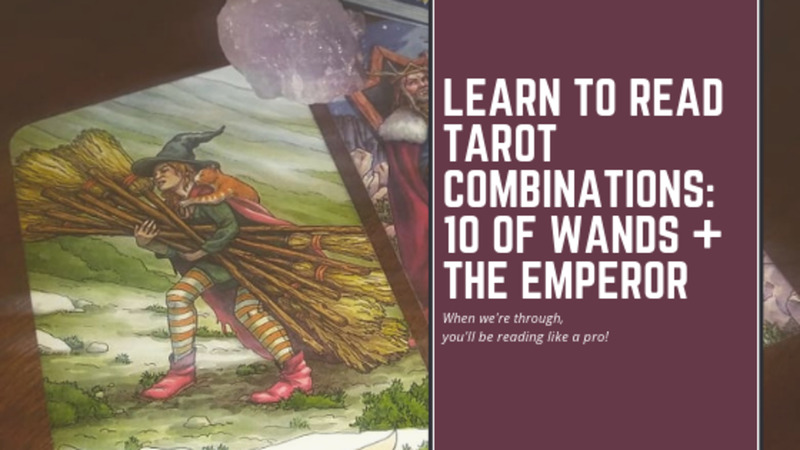 Not sure what you mean exactly, but there is a way of discovering which Major Arcana card is linked to you via numerology. Take your date of birth, eg 31 06 1980, add up the digits until you get them down to the lowest number. 3+1+6+1+9+8 = 28 then 2 + 8 = 10, which can also be reduced to 1. So this d.o.b has, in fact two Majors - the Magician and the Wheel of Fortune. Mine is 9, the Hermit. It is worth while exploring the significance of your Major. This is something very interesting. I enjoyed reading your hub. I do believe in Tarot but don't know my number. These are interesting glimpses into the human condition - lots of good sense and empathy shine through from you too. I really like the pictures on the cards too! Very interesting. 5 is my favorite number. It always has been. I've always wondered about those funny little tarot cards. Thanks for some great information on it all. Thanks so much, Karen and Goodlady. I appreciate your thoughtful comments. Thoroughly enjoyed the spiritual perspective through this inspiring Hub. Just beautiful and I look forward to having my cards read by someone as inspired as you one day. Thank you so much. Pinning and GB and sharing. This is really interesting and thorough! I totally agree that we must all acknowledge the darker side of nature and ourselves~ with that come opportunity and growth. I don't know much about divination, (I tried Tarot and runes a long time ago) but have always wanted to learn more. I've been told because my birthday is on the 23rd, that 5 is indeed a strong number for me. Shared, voted up and awesome!